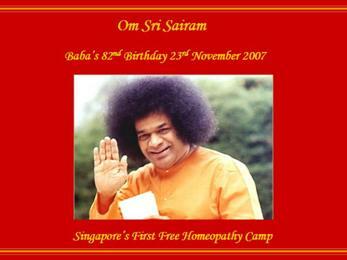 It was Bhagawan Sri Sathya Sai Baba’s 82nd birthday on 23rd November 2007. 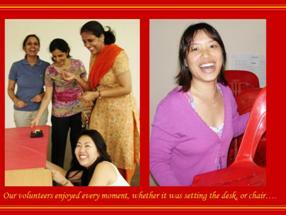 Annual worldwide celebrations take place on this sacred day. 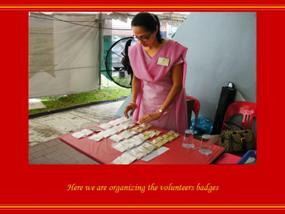 The Singapore devotees make this as a national event. The day begins with early morning prayers, Paduka pooja, followed by day-long bhajans & programmes organized by various Sai organizations ,depicting the teachings of Bhagawan Sri Sathya Baba. 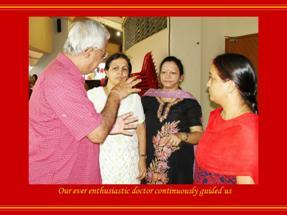 As Swami says ”Service to humanity is service to God”, it was a normal practice to have health screening camp, blood donation drive for those who wish to avail of these facilities. 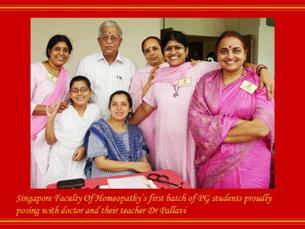 But, this year 2007 proved to be a more blissful year for the “Singapore Faculty of Homeopathy” ( SFH). 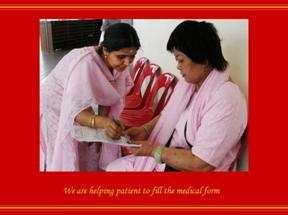 By the abundant blessings of our beloved Baba, a free homeopathy camp was conducted by SFH. 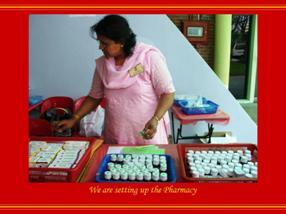 The medicines were sponsored by Bahola Health care, India. 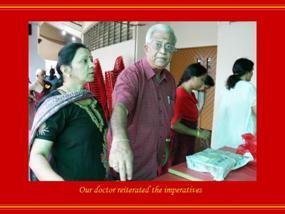 The local expenses were sponsored by 2 sai devotees who remain to be anonymous. 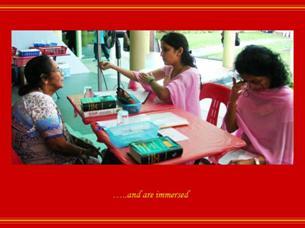 Baba being the Universal Father & Mother blessed everyone with an ocean of love by sending nearly 206 patient-devotees to seek treatment at the first ever held free homeopathy camp. 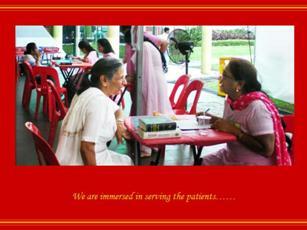 Unbelievably there was a continous inflow of patients throughout the day. 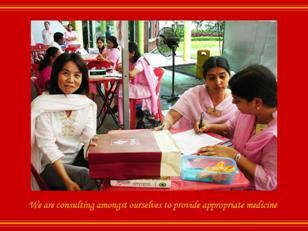 To comply with the discipline in all areas that Swami always liked, all the women volunteers were attired in pink clothes & the men in whites. 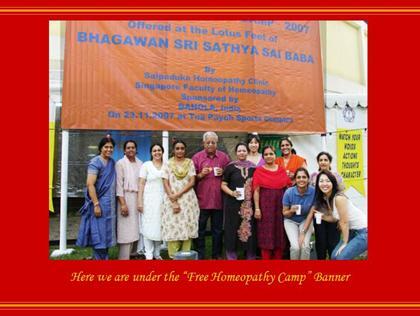 Finally, it is overwhelming to say that being the first ever free homeopathy camp , this system of medicine was very well received by the crowd. The SFH extends their gratitude to the Sai organization leaders who gave us tremendous support for making the camp a great success. 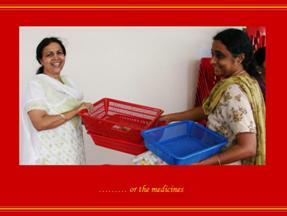 An extension of this service was also conducted at Puttaparthi, the sacred abode of Baba during November and December, duly represented by two homeopathy doctors from SFH. This also by Baba's grace was a great success. 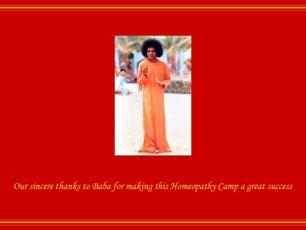 Sai Baba , the supreme doctor, is our omnipresent master, guide and indweller. 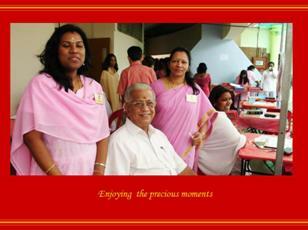 In his divine path, we do our best and leave the rest to Him.